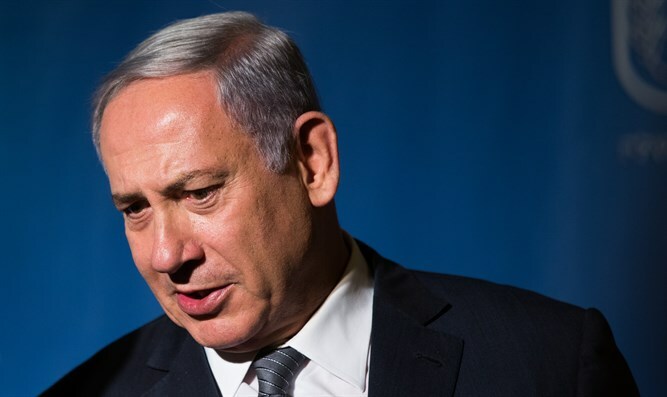 Israeli Prime Minister Binyamin Netanyahu opened the weekly Knesset meeting on Sunday morning by speaking about US President Donald Trump's upcoming visit to Israel. Trump is scheduled to arrive in Israel on May 22, and is expected to visit the Western Wall. "In two weeks, the State of Israel will host US President Donald Trump, and his wife, on his first presidential trip outside the United States," Netanyahu said. "President Trump will be warmly welcomed here as a great friend of Israel and as is customary for the leader of our greatest ally, the United States. "The President is seeking to examine ways of renewing the peace process with the Palestinians. I share in this desire as do the citizens of Israel. We want peace. We are also educating our children for peace. "I heard Palestinian Authority Chairman Mahmoud Abbas, who praises terrorists and pays them according to the severity of the murders they committed against Israelis. I heard Abbas say that the Palestinians are also educating their children for peace. I regret that this is simply incorrect. "Former minister Benny Elon – may his memory be blessed – passed away over the weekend. On behalf of the Government of Israel, I would like to send condolences to his wife Emunah, their children and their entire Elon family. "Benny loved the Land of Israel, the State of Israel and the heritage of Israel, and worked greatly on their behalf. Benny also worked to deepen links with Christians from around the world who love Israel and did much in this area. "I would like to send my condolences and those of the entire Cabinet to our friend Interior Minister Aryeh Deri (Shas) on the passing of his dear mother Esther, may her memory be blessed. We share in his grief and that of the entire Deri family."